George Barris, "King of Kustomizers" and creator of the original Batmobile in TV's "Batman" starring Adam West; the Monkee Mobile from TV's "The Monkees"; the 1980s KITT Firebird from TV's "Knight Rider" and Drag-U-La from "The Munsters." These cars will all be at the show as part of a special tribute to America's Coolest TV Cars. 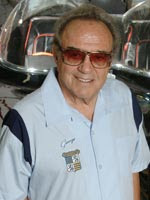 Barris is lucky enough to be receiving a prestigious Lifetime Achievement Award from the Legends of Motorsports Guild during a special brunch Saturday morning. 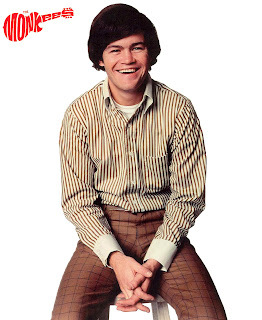 You can meet Barris yourself Friday, 7 p.m.-9 p.m., Saturday, 1 p.m.-4 p.m. and 7 p.m.-9 p.m. or Sunday, 1 p.m.-4 p.m.
Also at the event will be original member of "The Monkees," Micky Dolenz. Catch him at CARQUEST World of Wheels Saturday, 12:30 p.m.-5 p.m. A portion of Dolenz' proceeds from attending the event will be donated to the Make A Wish Foundation, a charity that he is very fond of. 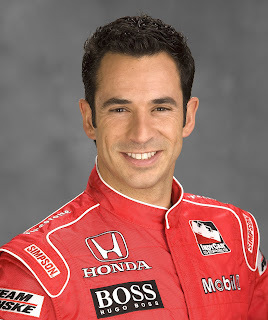 Two-time Indy 500 Winner and Season Five "Dancing with the Stars" champ, Helio Castroneves will be on hand Sunday 1 p.m.-3:30 p.m.
Other celebrity appearances include Moises Arias, known as "Rico" on Disney's Hannah Montana (Sunday, Noon-4 p.m.) plus Wolf and Venom from "American Gladiators" on Saturday, 1 p.m.-4 p.m. and 7 p.m.-9 p.m. The CARQUEST World of Wheels event runs Friday, Jan. 23 through Sunday, Jan. 25 at McCormick Place-Lakeside in Chicago. Tickets are $16 for adults, $5 for children 6-12 and free for kids five and under. Visit http://www.worldofwheels.com/ for more information.